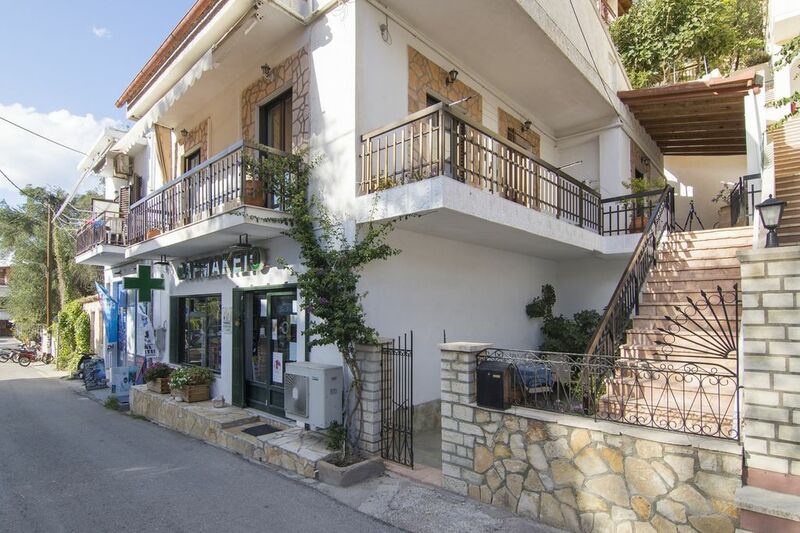 Nikos Apartment is located at the beginning of the village of Lakka in a peaceful area just about a minute walk from the water front and about a 5 minute walk from the nearest beach. This apartment sleeps 6 to 7 people as there are 3 bedrooms, one with a double bed and 2 with twin beds and the living room can be changed into a bedroom for one person if needed. There are also 2 bathroom, one with a bathtube and the other with a share, a fully equipped kitchen with a full size cooker and oven and a dining room. Outside there is a balcony and a veranda with sitting area. The parking area is opposite the apartment.